Do you have a teapot shaped void in your life? 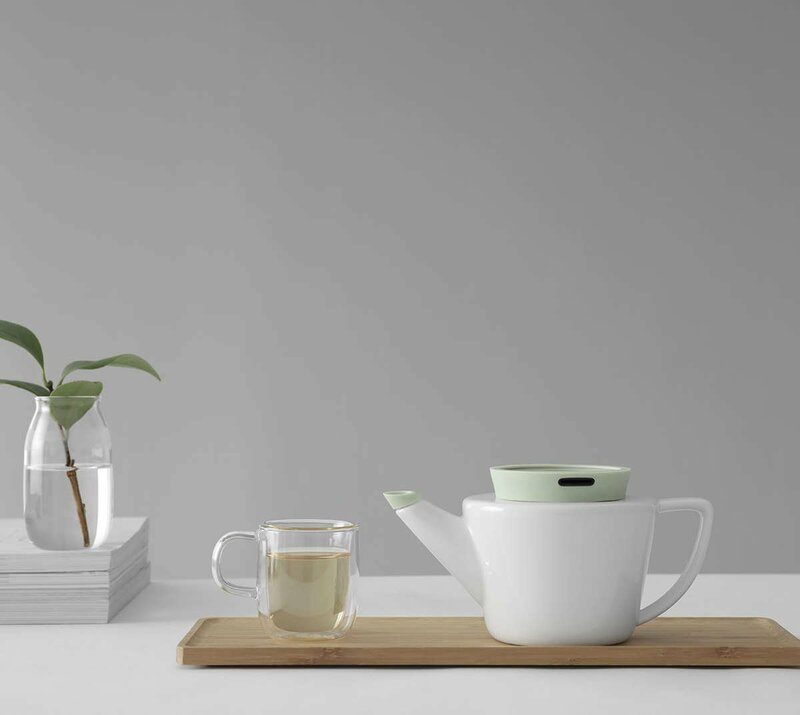 The Infusion Porcelain Teapot is here to fill not only that void, but also your cup. Without any drips might we add. 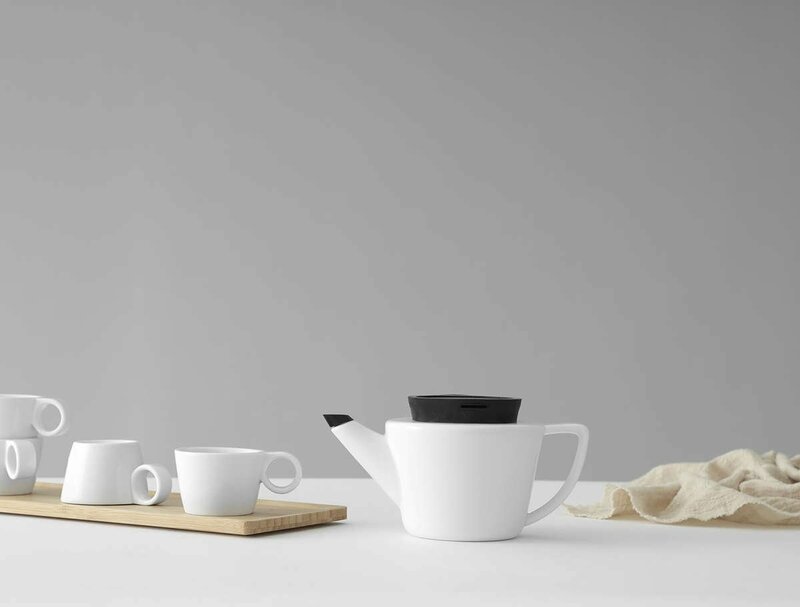 This Red Dot Design Award winning teapot is everything your minimalist heart desires. Material: Porcelain. Silicone. Stainless steel. Size: L: 19.2 cm - W: 11.4 cm - H: 10.0 cm - Vol: 0.50 L / 17.00 fl. oz. Yes, all the components of the Infusion teapot are dishwasher safe. However, you should only wash your teapot from time to time. Under normal use, a simple rinse in hot water will clean your teapot. This method will also help season the porcelain and build flavour. Yes! All our teapots come with a fine mesh stainless steel infuser for perfect tea brewing. How many cups of tea does this teapot make? This 0.5L pot will yield two cups. Perfect to share with a friend, or give in to indulgence and drink both yourself! How durable is this teapot? Porcelain has been the material of choice when making high quality teapots for centuries because of its balance between durability, insulation, and luxurious feel. Our teapots are made from our specially developed Cretasolis porcelain. If well cared for, this Infusion teapot will be making wonderful cups of tea for many years to come. The silicone used can withstand temperatures up to 220°C and down to -60°C! Is the silicone BPA free? 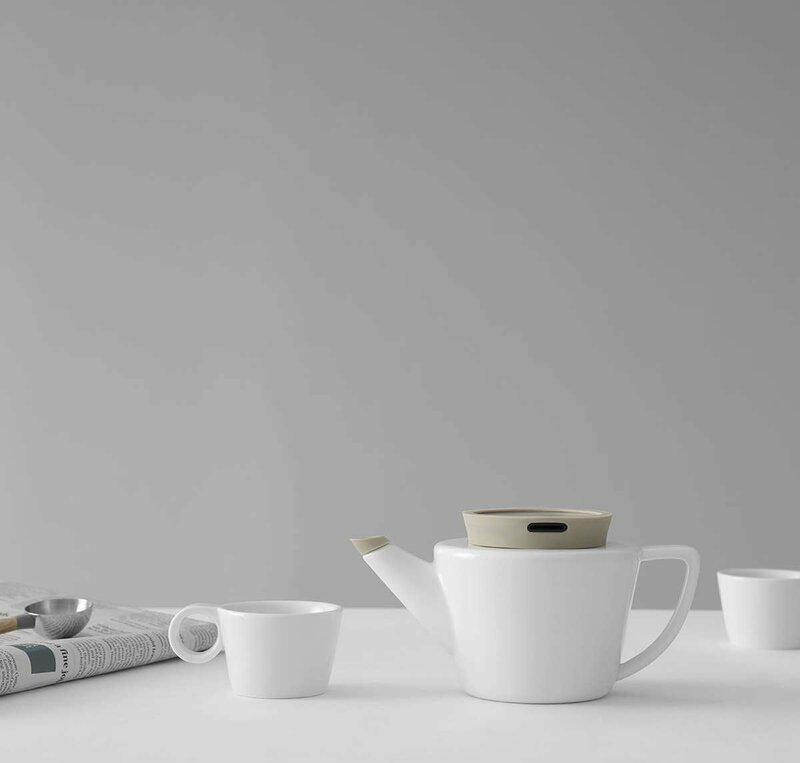 Our Infusion teapot uses Istoflec, our high quality food safe silicone which is 100% BPA Free.